Posted: December 23, 2014 in Podcasts, Revealed...! In Chapter 6 Katie shares about the hardships for her as a parent which made me think about my kids role as parents and my role as a papa. Imagine not knowing when your child or grandchild took her first steps. What was her first word? It’s hard right now as i write this to not know if she is hugged every day and told that she is loved. Whose shoulder does she cry on? 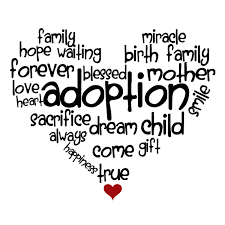 As a child, it’s hard to remember your biological parents’ death, no matter how much you love your new mom. It’s hard to have your mom be a different color than you because inevitably people are going to ask why. It’s hard that your mom wasn’t there for all the times you had no dinner and all the times you were sick and all the times you needed help with your homework. It’s hard when you have to make up your birthday. It’s hard when you can’t understand the concept of being a family forever yet, because your first family wasn’t forever. i am absolutely sure that my children are not adopting this child, as though they are doing their good deed for the day. They’re not doing it to “help out this poor child.” i’ve watched over the years as spiritual awareness and growth began to invade various portions of their lives. Jesus says in Luke 12:48 that to whom much has been given, much will be demanded. God is showing our entire family His heart and His Word in new ways. Heads up… i’m switching tracks. Katie shares near the end of chapter 6 about a 13 year old girl named Brenda. She says, “Not knowing what else to do, I immediately laid my hands on her and began to pray. Within minutes my six little girls were huddled around the bed also lifting their voices to the Lord on behalf of this little girl. Different sizes, different ages, different races, speaking different languages, each of us in our own way pleaded with God for this little girl’s life. Katie says that her life was being filled with unforgettable experiences. i’d have to say that Ann Marie and i have had our fair share of unforgettable experiences, but i say that realizing that some were missed and believing that there are more to come. 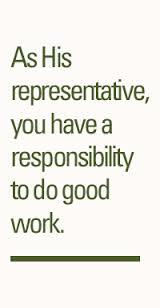 Let’s remember today that as His representative we a responsibility and the ability to do good for someone. i’m Dr. ed peterson, thanks for joining me!